Have you ever remarked that being an adult is quite a stressful experience? 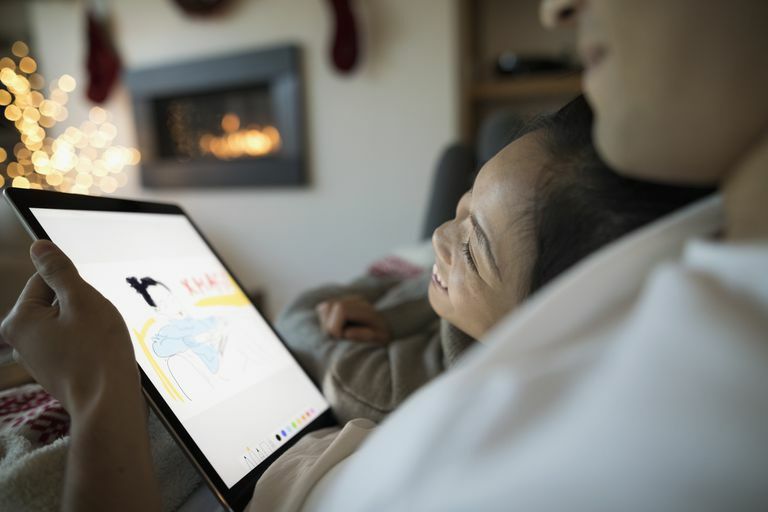 Take some time for yourself and relax with a digital coloring book; a large selection of apps are available for both smartphones and tablets, allowing you to sit back, binge your favorite TV show, sip your favorite drink, and create a masterpiece. But, with so many different options available, where do you start? We’ve got you covered with the seven best adult coloring apps for 2019. If you’re merely seeking the best coloring app for adults, then downloading Pigment for your device is going to be all you need to do to start relaxing. The Pigment app is easily our favorite mobile application for coloring with over 3,400 different designs to choose from and a vast array of painting tools and brushes to select including pencil, marker, glitter, pastel, sand, oil, and many more. Additionally, you can also check out the work of other aspiring coloring book artists or import your photos for a customized experience. Immense selection of designs to choose from. A vast array of painting materials and tools. Ability to import your artwork. Different modes for both beginners and pros. The subscription model can get quite expensive. 7-day trial automatically attempts to place you into the most costly, $4.99/week, payment method once it has completed. If you’re seeking an alternative to our number one pick, Pigment, then you might want to check out Colorfy for your adult coloring adventures. The Colorfy app is very well constructed and features an extensive collection of designs to get started. Additionally, Colorfy adds weekly volumes of new content always to keep you interested. In addition to being able to import your photo for drawing, you can create custom mandalas designs and compose custom messages. One of the app’s most unique features is its ability to use augmented reality — showing your 2D designs as physical works of art around your home. Large selection of designs to choose from. Fascinating usage of augmented reality. Very high subscription price that is almost double some of its most fierce competitors. A small array of painting tools and textures to select. End of 7-day free trial automatically attempts to place you into the most expensive, $7.99/week, payment method once it has completed. Another excellent choice for those just looking for a laid-back coloring experience is Recolor. The app offers a large selection of 2D designs to color in addition to many 3D objects, which takes the experience literally to the next dimension. Features that make Recolor stand out compared to its competitors include a fun ‘live colors’ painting brush in which colors that you have painted gradually animate onscreen - this feature alone can make Recolor an exciting option. Recolor also sports an extensive collection of images that are available free thanks to an ad-supported model, so you can enjoy coloring without breaking the bank. 3D objects to paint for a new experience. 'Live colors’ feature creates trippy designs. Ability to import your photos. Ad-supported mode means you can enjoy coloring without scaring your wallet. The subscription model can be quite expensive if you wish to unlock the full design library. 7-day trial automatically attempts to place you into the most expensive, $7.99/week, payment method once it has completed. If you are seeking a color by numbers experience, then you can’t go wrong with Color by Number. While the app doesn’t offer some of the more advanced features that its competitors bring to the table, Color by Number sticks to its goal of being a great color by numbers digital coloring book. Additionally, the app features a new and exciting design each day to its users. Our favorite feature in a word where coloring book apps are quite expensive is that Color by Number is entirely free to use thanks to its ad-supported model. If you find yourself getting tired of the ads, you can opt out for a one time fee of $4.99 — no subscription required. Free thanks to an ad-supported model. Only a single $4.99 one time purchase to remove ads if desired. Ads can become somewhat intrusive when relaxing. Some may find the color by numbers system too limiting compared to other mobile applications. One of the most unique coloring apps for adults on our list is Bloom, which attempts to take the concept of coloring in an entirely different direction. When you first launch the app, you are instructed that you must begin capturing colors for painting; using your device’s camera you then need to move around your environment taking photographs of the colors you wish to use. The fun oddities don’t end there, as you have two options for coloring, a mode that allows you to see what you are painting and color by numbers mode that only reveals the final image to you as you fill it. The app moves away from a subscription model, allowing you to unlock additional designs by completing challenges or watching advertisements. An utterly original take on digital coloring books. Two different coloring modes to suit your style. Ability to complete tasks to unlock additional designs for no cost. Coloring addicts may find themselves running out of in-app credits earlier than they would like. Some painting tools are only available for a price including the flask spray can, bucket, and waterfall. Color capture mode can be finicky when attempting to photograph objects. If you’re a fan of old-school graphics, then the UNICORN app is the place for you to relax coloring. All of the app’s designs are in retro 8-bit style graphics and range from extremely easy to decently complex, entertaining a healthy skillset range. While the app does showcase an extensive collection of designs, we must note that the library is a bit smaller than some other more typically available options. The app doesn’t allow for freehand drawing and follows a straightforward color by numbers system. Best of all, you can snap or import your photos to create custom 8-bit artwork. Retro-style graphics are an exciting new way to color. Easy to follow color by the number system. Ability to create your own retro designs from photos. Design selection can feel a bit limited at times. The only available subscription option is an expensive $9.99/week. For those looking to relax with simple designs, Low Poly offers low-resolution polygon art in a variety of different categories including animals, people, food, objects, robots, and mandalas. Low Poly features a simple drag-and-drop system in which you complete polygon images as though they were color by number puzzles. Design collections are quite limited but offer enough pieces to provide a fun experience. Once finished you can share videos of your step-by-step competition of each design to your social network of choice. Color by numbers drag-and-drop system is a fun approach to digital coloring. The app is very straightforward for any beginner. Fun social video sharing function allows you to showcase your creations. A 3-day trial is available for new users. Design selection feels quite limited and can typically be finished before your trial expires. Only available subscription option is an expensive $9.99/week.